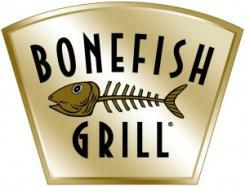 Bonefish Grill specializes in market-fresh fish from all over the world. Our fish is prepared over a wood-burning grill and paired with original sauces or toppings made from only the freshest ingredients. Bonefish Grill offers a big city bar atmosphere serving regional craft beers and seasonal cocktails with hand-squeezed juices and fine herbs. From innovative recipes, to contemporary renditions of the classics, our chef-driven menu and bar fresh cocktails are designed to indulge your senses, regardless of the occasion.